Attached is a list of the men killed plus the five that were not recovered. 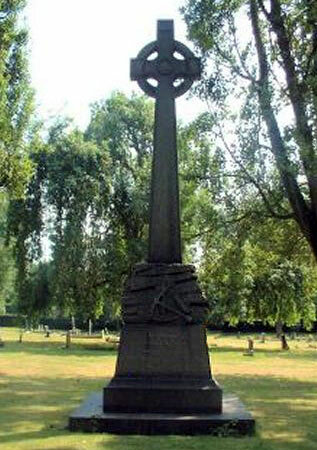 Also the memorial in Longton cemetery where most of them were buried in a mass grave. 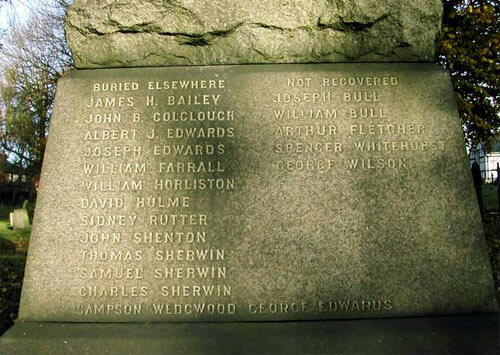 Victims who were found in the Banbury Seam. William Smith, aged 16 years a horse driver who worked the Banbury Crut to the main jig. He was slightly burnt. Job Bull, aged 26 years who was asphyxiated while working near the top on the Main Jig. But poor Arthur Fletcher who had tried so hard to save the lives of those in his charge, only 26, an up and coming official, was denied the dignity of a decent burial along with four others aged from 19 to 27.
and the inquiry states very coldly "Five bodies still remain in the seam as it was considered imprudent to reopen that portion of the mine in which they probably lie." John Tompkinson. a collier in the drift. Sixteen horses also perished in the disaster.